When you're shopping around to buy visitors insurance, you may come across these two travel medical insurance plans: Inbound USA and VisitorSecure. Even though the two travel insurance policies may look similar at first, one may be much better suited for you based on your travel needs, so what is the difference between Inbound USA and VisitorSecure? 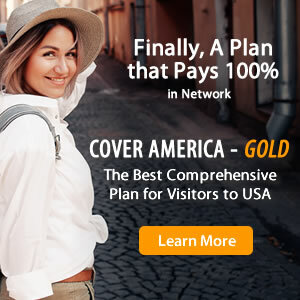 Inbound USA insurance and VisitorSecure insurance are both limited coverage plans, which means that they pay a fixed, pre-defined amount per incident for covered expenses. Find out the key differences between Inbound USA and VisitorSecure insurance plans featured in the comparison chart below.